Setting up the new scheduling feature on your custom routines is pretty easy. Just go to the Google Home app, go to the menu and then down to More Settings. Scroll down until you find Routines and tap on that option to open up your routines. If you have a custom routine created, tap on it and you should see the option to set days and times for your routine to run. Save your work and that routine will now run on the appropriate days and time you have set. 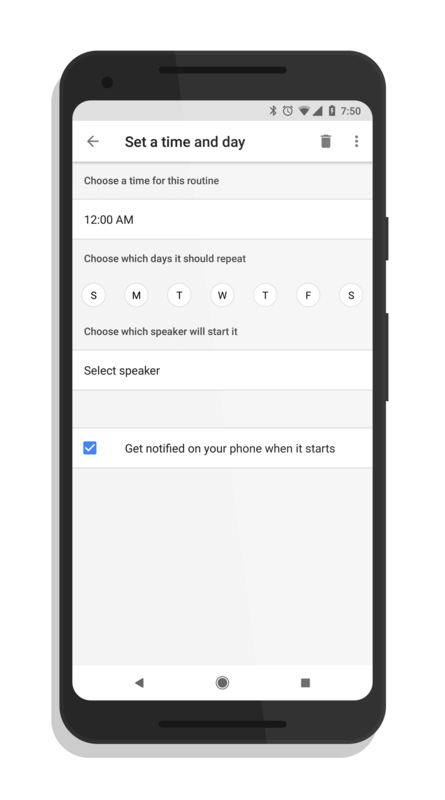 The only real downside to this is that the feature is not available on the built-in routines that Google has built into Home. This would be handy indeed and hopefully we will see it expand to those routines soon. This update is a cloud-side update so it will be pushed to your account and be available shortly if not already.